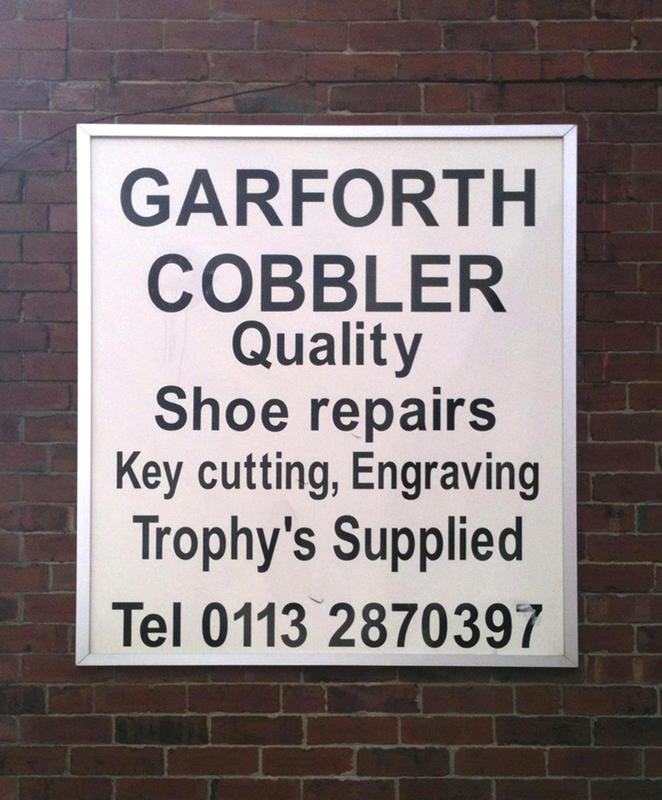 Thanks to Dennis A who captured this one in, well, Garforth. 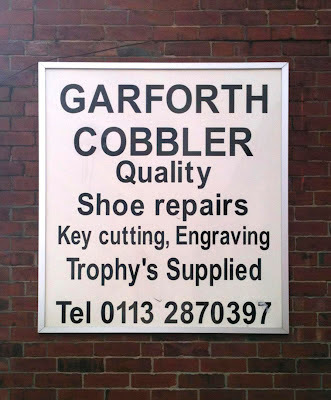 Actually, I've just checked the Garforth Cobbler's website where, amongst an array of typos, the sign is proudly featured. 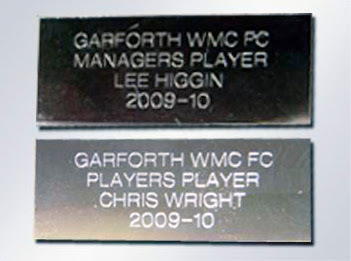 I hope he never has to engrave anything that requires plurals or apostrophes. Like the Yorkshire stonemason who was asked to chisel "She Was Thine" on a headstone. When the stone was delivered, it read "She Was Thin"
The client complained, obviously, saying "You've missed the "e" off the headstone"